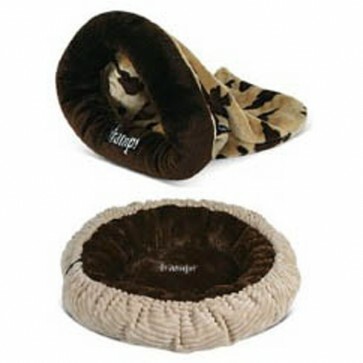 The Luxury Tramps Cat Bed and Hide N Seek Sleeper, are both machine washable and available to purchase from us in a matching set that includes Free Mainland UK Delivery! 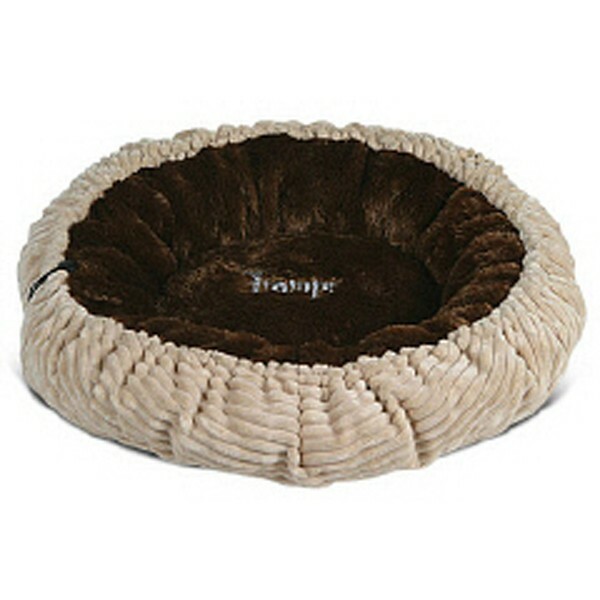 The Luxurious Tramps Cat Bed is approximately 70cm in diameter and has a drawstring running round the circumference of the bed, that can be adjusted to suit your cats needs, with a toy mouse attached to the end to keep them occupied, until they feel tired and in need of a snooze. The cat bed has a plush dark chocolate interior that will keep your cat snug and warm, with a soft thick cream corduroy outer, that your cat will love to spend hours sleeping in. 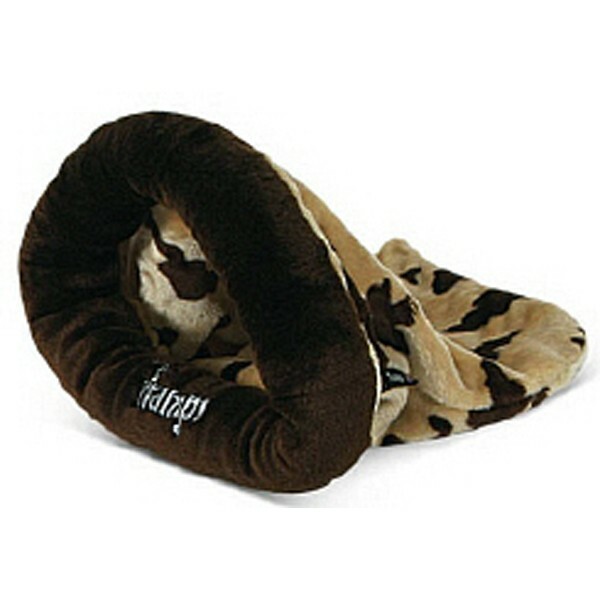 The Luxury Hide N Seek Sleeper is like a warm and cosy sleeping bag, with a wire support to provide a rigid entrance for your cat to enter or exit the bed with ease. The Hide n Seek Sleeper is approximately 45cm x 55cm and rustles like a paper bag providing hours of entertainment for your cat!